We have an extensive range of Sliding and Pocket Door Gear, covering a wide variety of appliances and hardware suited to the installation of a sliding mechanism. Our selection of high quality models are guaranteed to provide the stylish and long-lasting finish you desire, whilst also acting as a practical and simple method to open and close doorways or cupboards. To provide cupboards with an effective sliding mechanism, we have the 1200mm Slipper Cupboard Twin Sliding Door Gear model. The design boasts a twin sliding structure and runs along an aluminium track. For larger structures such as doorways, we have the Domestic/Light Commercial Sliding Door Gear. 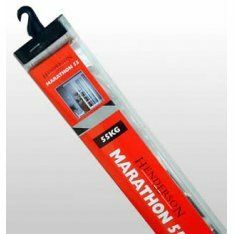 This model, provided by Marathon, is specifically designed for heavy duty hardware, and can operate on doorways as wide as 900mm. Once you have installed your sliding mechanism, it is paramount that you have the correct locking method in place. We have a selection of Sliding Door Locks and Latches, ready to provide a strong and neat system to ensure any doorways or cupboards are sleek and tidy at all times. To add the finishing touch to your sliding door, you need to install the appropriate Sliding Door Furniture. We have a wide range or products in various shapes and sizes, all of which are certain to add both radiancy and style.